What Ecommerce Website Information Needs to be Translated? Translating an online store involves making a comprehensive audit of the website elements in order to see what needs to be translated and what needs to be adapted to the local country context. Why do consumers buy outside of the borders of their countries? Global online shoppers usually buy from foreign countries to find better product availability and prices. As they shop online from these international websites, they expect the same services that they receive from local businesses. According to this study, businesses should focus on making a deep analysis of their target markets in order to offer the right product mix at a fair price. From Multi-channel to Omni-channel: where do we stand in Europe? The European e-commerce markets share many similarities as well as numerous differences. Companies hoping to develop their online sales in several European countries find themselves confronted by a variety of challenges. Technical questions such as the formation of an international SEO strategy all too often remain unanswered. 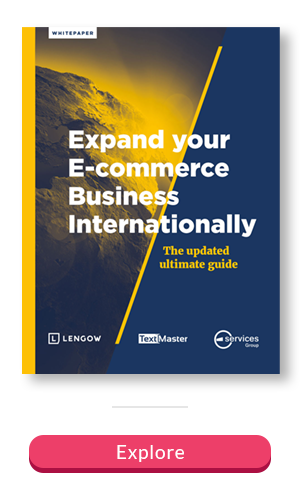 Here is our advice for efficiently managing the different currencies and payment methods on your international e-commerce site.